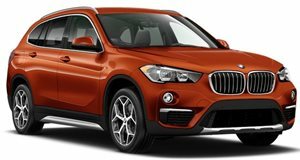 The recently redesigned BMW X1 is available with a 228 hp, 258 lb-ft 2.0-liter turbocharged gasoline engine and is fitted with an 8-speed automatic transmission. Front-wheel drive is standard and all-wheel drive is optional. Fuel economy and performance is on par with the competition and the ride quality is great. The interior is spacious and rather well-equipped although this generosity of standard specifications does come at a price as the X1 is one of the more expensive cars in its class. A few basic features such as a reversing camera and leather seats are perhaps surprisingly still an option too. Once upon a time, Chevrolet Bel Airs and Impalas paved the way for suburban America to rise from the countless acres of land snatched up during the Louisiana Purchase and Treaty of Guadalupe Hidalgo. They gave the postwar generation a playground of subdivided communities where it could enjoy the spoils of democracy and free-market capitalism. Those large trunks and pillowy rides coaxed the nation onto four wheels, and it has remained there to this day. Not much has changed about the landscape of our country, but those chassis have evolved throughout the years and now bear little resemblance to the big-bodied V8 barges that navigated cul-de-sacs back in the 50s. Citizens and consumers, spoiled by having to accept less and less compromise in the products they buy, have snatched up crossovers by the millions so they can enjoy the capabilities of an SUV without sacrificing the fuel efficiency, dynamics, convenience, and in the case of the BMW X1, the luxuries of a passenger sedan. In order to clue us in on how the company with smaller crossovers that double as affordable gateway drugs into the brand, BMW sent us a Sunset Orange Metallic X1 xDrive28i so we could roam Northern California for a week and gain an appreciation for the color orange before Pumpkin Spice season set in. With October weeks away and California’s fires subdued enough to no longer threaten the region’s air quality, we loaded the X1 with camping gear and hit Yosemite to cure the hangover of a life of technological overindulgence. The road from San Francisco to Yosemite Valley is slathered in S-curves, steep climbs, abrupt drops, and jaw-dropping scenery—a combination that favors the agility of the X1’s UKL platform and the quick shifts of its refined 8-speed automatic gearbox. It’s there that we quickly learned where the magic of the X1 lies. It’s not in its ability to squeeze a roomy interior into dimensions that allow the Bimmer to park in compact car spaces, it’s the dedication those Germans have to engineering versatility and a wonderful driving experience into just about anything wearing a set of tires. Like most BMW’s, the X1’s suspension lies right in the middle of comfortable and dynamic, smoothly gliding over surface streets until rubble, potholes, or roadwork send enough tremors through the cabin to jostle occupants out of their caffeine slumps. Even so, the driver can stay in control of the tightly woven chassis without feeling the need to put a second hand on the steering wheel. Though it may be classified as a small SUV, but the X1 drives much more like a 3 Series with a side of body roll, though you’d hardly notice it when cruising by famed rock formations carved out by glaciers. And while the natural wonders of Yosemite vie for attention, especially when the peaks of El Capitan and Half Dome show through the X1’s large panoramic moonroof, it’s the corners that spike adrenaline levels even when one is entranced by the serenity of nature. Each scenic apex deceptively begs to be taken at speed, and we’d oblige if it weren’t for a respect of nature instilled in us by disapproving park rangers and the occasional deer that strayed onto the road and forced an impromptu test of the X1’s brakes. 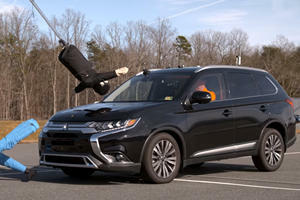 Both the deers of Yosemite and the X1 survived those incidents, but that has more to do with the crossover’s 3,697-pound curb weight and a suspension system that stays close to the action despite a slight skew towards comfort. Whether descending a steep grade covered in slippery dirt using hill descent control or tossing the X1’s weight around in the corners, the X1’s center of gravity feels low and gives the body a tendency to squat into a fighting position when it’s hustled like lap times matter. The shy-sounding 2.0-liter four-cylinder is able to play along once the single turbocharger spools up, an event that takes the same time the 8-speed needs to shift. The punchy motor responds to throttle inputs by sending up to 228 horsepower and 258 lb-ft of torque to all four wheels, making the X1 good for a 0-60 mph sprint in 6.3-seconds. In the hills, its best to switch the no-nonsense drive mode selector out of Comfort and into Sport to ensure that the gearbox’s telepathy adapts to the road, but we soon found ourselves slowing down and getting off the road to find a camping spot. Surrounded by nothing but trees, bear boxes, and an empty campground, a subdued sense of panic set in. You see, Yosemite’s campgrounds are notorious for getting booked the minute reservations open up, so the fact our orange X1 was the only evidence of life in a camp that lay at the bottom of a long and very rocky road felt ominous. We got out and ate lunch, enjoying the smells and solitude, when out of nowhere the sky turned grey and September hail began peppering the X1’s pretty sheetmetal. After scurrying inside and warming up with heated leather seats and satellite radio, the hail let up and a park ranger emerged to ask us how we missed the “Closed for Season” signs at the entrance to the campground. During the return trip, there wasn’t a hint of anxiety as moderate clearance and a clever all-wheel drive system steadily carried the X1 up the now-wet hill. Back on the road under darkened skies, the optional $950 LED headlights lit cat eyes stuck in the pavement while dim orange interior lighting and a heated steering wheel kept the mood inside as relaxed as a Barry White single. With the $300 Apple CarPlay option loaded onto our X1’s 6.5-inch center screen, getting directions from Siri was made easy thanks to the iDrive controller. As much as we love CarPlay and tout its many benefits, Yosemite exposes one of the system’s major downsides: the fact it’s useless without cell service. To avoid pulling out a real map and making hell freeze over, BMW loaded this X1 with the $950 navigation system, which complimented the satellite radio perfectly when iPhones turned into paperweights. After a few days at camp using almost no technology outside of the X1’s power liftgate, it was time to head back to the city. The long winding descent on California’s Highway 120 makes up a portion of the trip, and it’s there, when switching through the glut of gear ratios to brake, that the desire for paddle shifters sets in. It hardly matters back on the interstate because the X1’s compact car dimensions and sedan dynamics made us long for adaptive cruise control (an option on the X1) and a steering assist system instead. With them, we may have noticed that the X1’s gas gauge had been dwindling in the hills. Though the turbocharged 2.0-liter sipped gas at a rate of 27.9 mpg in our tenure, we found that the tank was hovering at empty in the middle of rush hour bridge traffic with the nearest gas station on the other side of a 45 minute jam. Eco Pro mode is the go-to setting for situations like these. It not only retards throttle response and sends the transmission seeking higher gears earlier (useless in stop-and-go traffic), but it pushes the Start/Stop system to the absolute limit by shutting off the engine each and every time we came to a stop. Eco Pro’s pursuit of efficiency saved us from a humiliating call to the tow truck and in our eyes, cemented the X1 as a vehicle that truly adapts to as many “first world problems” as it can. The current ethos of the German automakers seems to be centered around solving those problems by creating good and highly desirable cars that can meet a wide array of demands with prose, and then reflecting that effort in the sticker price. Though a base front-wheel drive X1 can be had for $34,895 including destination, our all-wheel drive tester starts at $36,895 including destination and jumped to $44,945 by the time it made it to our hands. For the markup it can thank the aforementioned CarPlay, lighting, and navigation options as well as a $550 paint job, the $1,450 leather interior, another $550 for the heated seats and steering wheel, and $2,500 for the Convenience package that adds the panoramic roof and ambient lighting among other features. That’s far from cheap, but just how Apple charges four-figures for its newest crop of iPhones and gets away with it because they’re more like modern Swiss Army knives with highly refined tools on each branch, BMW can’t be blamed for charging $45,000 for a compact crossover. As a perfect car for the weekend getaway, whether that happens on paved road or not, and the demands of our fast-paced modern lives—with kids or without—the X1 is more like two premium vehicles stuffed into one. It’s also great on fuel, , and doesn’t skimp on fun. 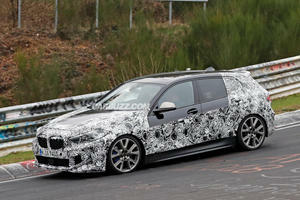 In a way, the X1 is the Impala and Bel Air of our time. It’s the car that defines where we are as a society and gives us a glimpse at our future. As long the rest of the industry’s crossovers drive the way the X1 does, that’s a future we can live with. 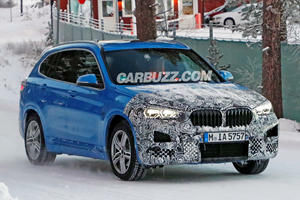 It will be the most powerful BMW X1 ever made.